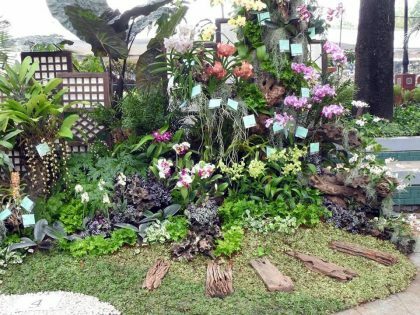 Despite the onset of rains and floods, patrons and enthusiasts still flocked the 72nd Mid-year Orchid and Garden Show. Ribbon Cutting Ceremony (from left): Susan Lee, QC Vice Mayor Joy Belmonte, Sen Cynthia Villar, Gloria Angara, Department of Agriculture Undersecretary Evelyn Lavina, and Kelvin Manubay. 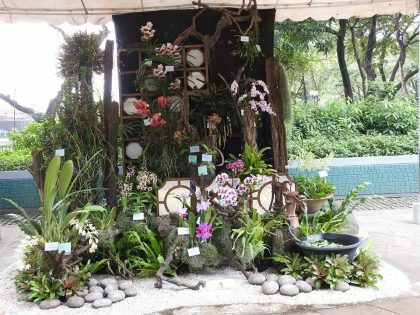 Hosted by the Philippine Orchid Society in partnership with the Quezon City government, the event ran from August 31 to September 10 at the Flower Garden Area of the Quezon Memorial Circle near East Avenue. The Quezon Memorial Circle Administration, and the Villar Sipag Foundation were also partners. 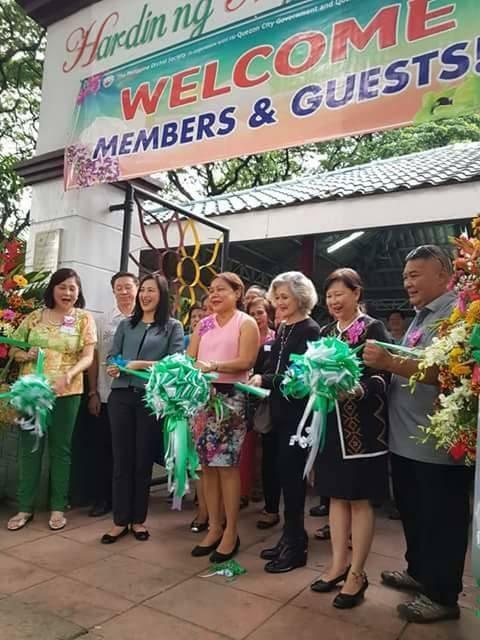 Special guests were on hand for the ribbon cutting: Quezon City Vice Mayor Joy Belmonte, Sen. Cynthia Villar, Department of Agriculture Undersecretary Evelyn Lavina, Orchidiana Philippiniana author Dr. Helen Valmayor, and the Board of Directors and members of the Philippine Orchid Society. There was a viewing of all the landscaped exhibits and the awarded orchid entries. The winning orchids include: Brassolaeliacattleya (Blc.) Mem. 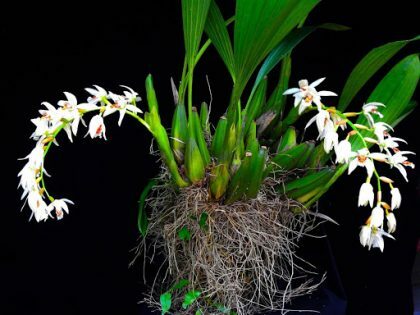 Anno by Malvarosa Orchids (Best Scented Orchid); Coelogyne asperata exhibited Corazon Purificacion & Anna Ruth P. Conde (Best Philippine Species); Phal. (Fusheng’s Golden Age x Fusheng Sweet Paradise) exhibited by Manuel and Susan Lee (Best Phalaenopsis); Paph. Mint chocolate (Paph.malipoense x leucochilum) exhibited by Corazon Purificacion & Anna Ruth P. Conde (Best Paphiopedilum); Vanda Gordon Dillon x Fuch’s Delight exhibited by Rufino Seguban (Best Vanda Alliance); Trichoglottis atropurpurea exhibited by Cora Purificacion & Anna Ruth P. Conde (Best Cultured Plant); Cattlianthe Qing Ming Thirteen ‘Red Grape’ exhibited by Vangie Go (Best Cattleya); Den. Kasem Gold (4N) exhibited by Lorna Latorre/Erly Egargue (Best Dendrobium); and Vanda sanderiana ‘pink’ exhibited by Lorna Latorre/Erly Egargue (Best Orchid in Show). 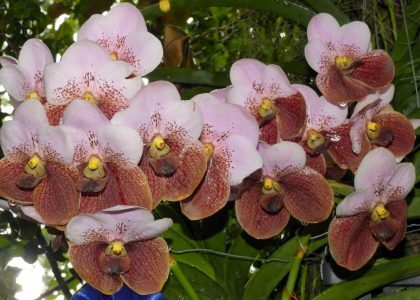 In the Philippines, the rainy months of August and September are the blooming season of our world famous ‘Waling-Waling orchid or scientifically known as the Vanda sanderiana or Euanthe sanderiana. This is the featured orchid of the Midyear Orchid Show. 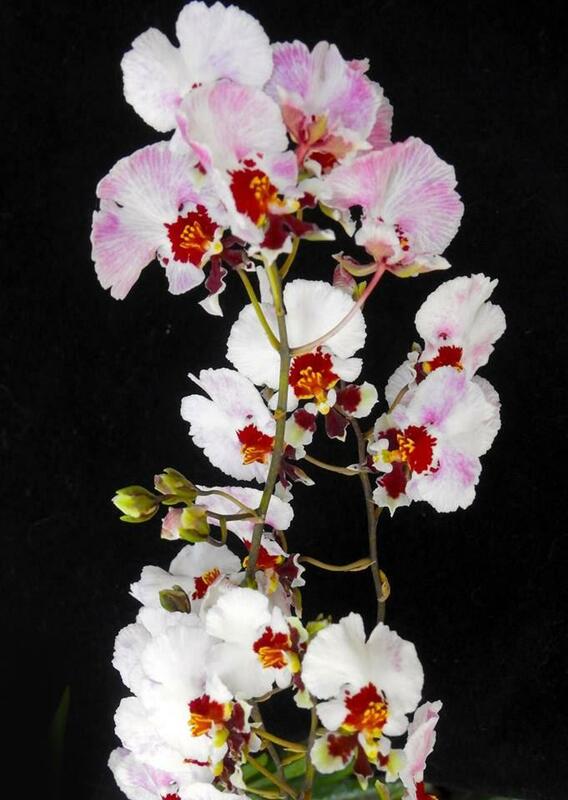 Internationally, it is known as the Queen of Orchids and is extensively used as a mother plant or pod parent in the breeding of modern vandaceous orchid hybrids. It imparts its large round flowers, unique flower markings, and flatness, including its floriferous genetic traits to its offsprings. 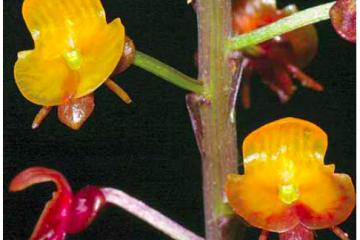 Because of these, the Waling Waling has become the logo of one of the oldest garden organization of the country, the Philippine Orchid Society. 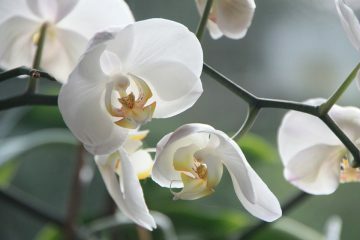 The main purpose of the show is to gather orchid plant hobbyists and enthusiasts, under one roof. 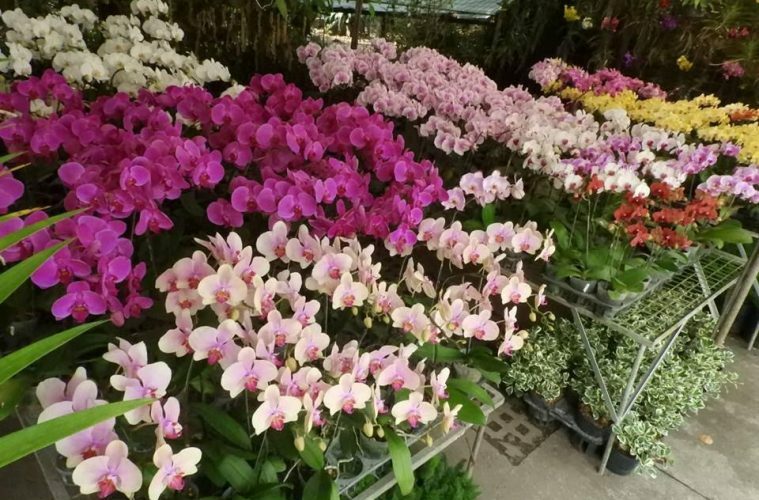 The main objective of the Society is to promote the country’s orchid industry, hoping to make it sustainable and progressive. The garden show aims to encourage more people to go into orchid growing, either as a hobby or as a business. Furthermore, the POS is continuing its mandate of promoting not just orchids, but also gardening as a whole and the appreciation of nature. The exhibits were intended to showcase this season’s beautiful orchids that we have in the country, which were meticulously cultured and flowered by connoisseurs. Blooming orchids were displayed in beautifully landscaped exhibits and also through flower arrangement displays. 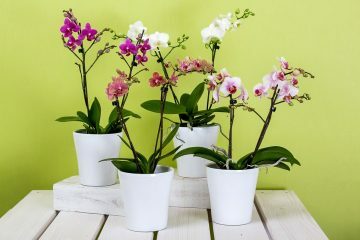 Year after year, it has facilitated the promotion and dissemination of technical information for both orchids and other ornamental plants through these events. It is a fact that aside from providing aesthetic beauty, orchids are also efficient carbon dioxide sinks (being a CAM plant). 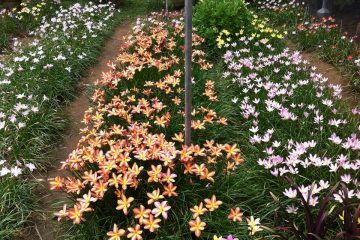 It is regarded as one of the gratifying and socially-fulfilling hobbies of most housewives and plant enthusiasts due to the plant’s exotic and diversified flower types. The topics of daily lectures arranged were the following: August 31 (Friday) – Art and Science of Bonsai Cultivation by Master Ho Jan Lee and Maestro Angel Uyehara; September 1 (Saturday) – Tillandsia ( the lazy gardener’s plant ) Maria Dolores Alarcon; September 2 (Sunday) – Choosing Quality Orchids- Kelvin Niel Manubay; September 3 (Monday) – Philippine Orchid Species – Ana Ruth Purificacion-Conde; September 4 (Tuesday) – Growing Vandas and Phalaenopsis ( Monopodial Orchids) JM Lacandula; September 5 (Wednesday) – Landscaping with Orchids- Fred Salud; September 6 (Thursday) – Production of Annual Bedding Plants -Allied Botanical Corporation representative; September 7 (Friday) – Flower arrangements for all occasions – Floral Designers Circle; September 8 (Saturday) – Growing Cattleyas, Dendrobiums and Oncidiums ( Sympodial Orchids)- Vangie Go; and September 9 (Sunday) – Growing Orchids- Rafting Techniques – Andres Golamco Jr. The plant collectors, enthusiasts and exhibitors had fun, and brought home their newly acquired plants. Next year, POS will stage the Flora Filipina Expo in Quezon City from February 22 to March 5.